How to gain weight – If you want to gain weight fast you are in the right place. We give you best tips to gain weight very fast in just 30 days. As we all know that excessive weight is not good for our health in the same way leanness is not good for our health too. If you’re BMI (Body Mass Index) is lower than 18.5 you are underweight. It is not easy to lose weight and gain weight. There is lots of reason for Leanness like hormones imbalance, week digestive system, unhealthier lifestyle, less celeries intake in food improper diet, long time illness, genetics reason, stress and smoking. These weight gain tips help you to gain weight gain fast. 1. Eat 5 times a day. Eat five times a day in small quantity of food. If you take small amount of food it helps our body to digest. To gain weight you have to increase you collieries intake in food eat high colliery food. Eat banana, banana is a great source of carbohydrate, minerals and vitamins. 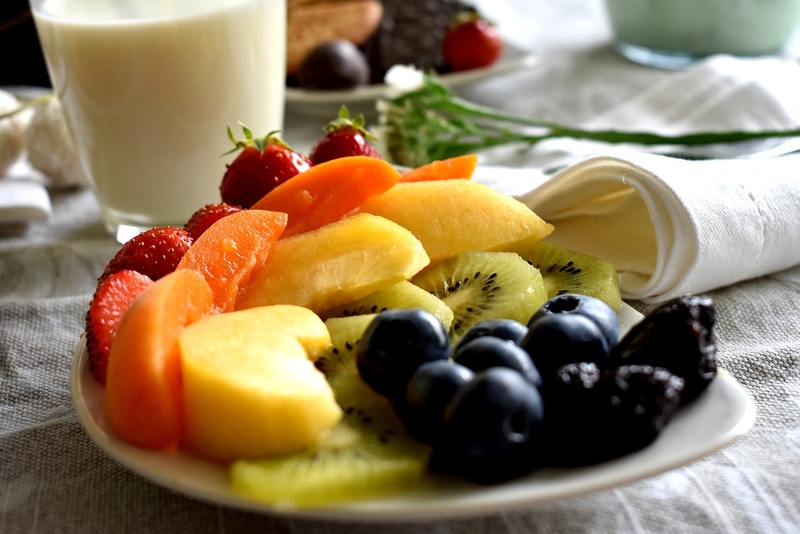 Almond, potato, brown rice, eggs, chicken, cheese, and fruits, green vegetable, milk and product made of milk. 2. Take high protein food. Take high protein food it helps to gain weight fast and build muscles. Eat almonds; almonds are very beneficial for our body because of its high content of protein and less carbohydrate. If you are vegetarian you can add in your diet plan to avoid animal protein. Eat dates which is also a great source of protein add peanut butter, soybean, red meat to your diet plan. You want to gain weight that doesn’t mean that you eat junk foods fast foods bugger, pizza and street food. These foods effect you’re digestive system. If you want to gain a healthy weight you have to eat nutritious food. Smoking is very dangers for our body and mind. It affects our digestive system very badly. Doing yoga daily 30 minutes it helps to gain weight in healthier way yoga helps to gain weight and weight lose to. Yoga helps to boost our metabolism. Everybody knows exercise is so beneficial for our body. Exercise burns calories and helps to gain muscles and burns extra fat on our belly. Exercise boosts our digestive system so we feel more hungry exercise make our body strong and healthy. Add exercise like push-ups, sit-ups, pull-ups, jogging, bench press, and squats in your daily exercise routine. These exercises help you to gain weight fast. Avoid stress; stress is the root of many diseases. When we’re in stressful situation we cannot pay attention to our body and we follow an unhealthy life style until you are away from stress and not happy, your weight can not increase. So if you want to be fit and healthy, then keep anxiety and stress away from yourself. Proper sleep helps you to recover from stress and make you feel energized. Proper sleep provides you full day energy. 7 to 8 hour sleep is must for our body. if you like my article please share it.